Exciting news: award-winning Dutch illustrator Aart-jan Venema recently signed with JSR Agency! Aart-jan Venema lives in The Hague, Netherlands, where he creates vibrant and multi-faceted illustrations using digital and traditional painting techniques. With interests in adventure, exploration, books, futuristic science and history, Aart illustrates a wide variety of subjects filled with all types of stories and surprises for the viewer to discover. He works with many clients in both editorial and corporate business, including The New York Times, The Guardian, Google, The New Republic and many more. Recently, Aart completed his first picture book, Night Windows, with Cicada Books! Did you know: Aart won both the Overall Professional and Design Category Awards at the World Illustration Awards 2017! Check out some of Aart-jan Venema’s award-winning illustrations below, and explore his portfolio here. 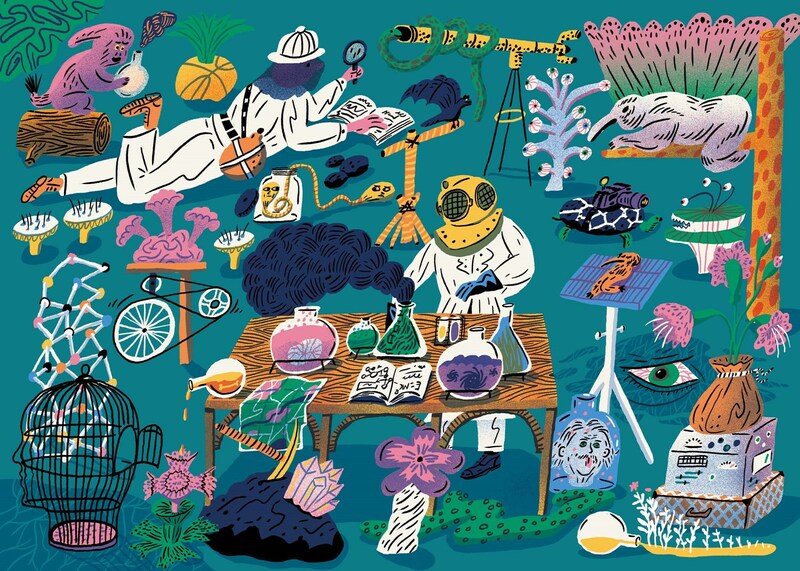 JSR Agency currently represents 17 incredible Directory of Illustration artists. View a collection of works by these artists below, and click on each image to view his or her portfolio!